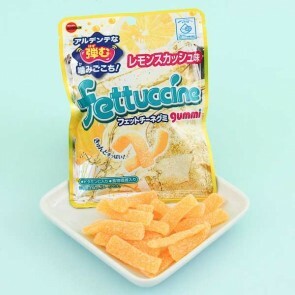 Fettuccine Gummies by the famous candy & cookie manufacturer Bourbon come in many different, and sometimes even exciting flavors! 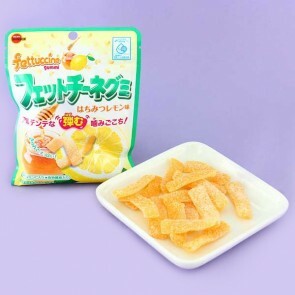 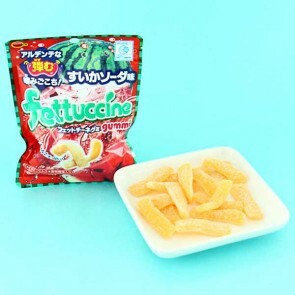 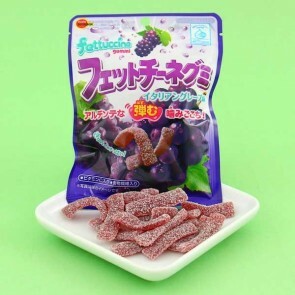 The gummy candies are shaped like the Italian fettuccine pasta - flat and thin, but soft as a candy cloud! 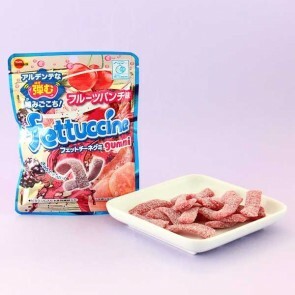 The sweet gummy with its fresh flavors rolled in the sour powder topping makes the crazy but perfect candy experience!